The FP-1363-D NCF (R) manifests a devotion to best performance in every element of AC and signal transfer. Considering that what you actually hear is in a very real sense the direct product of the incoming AC then the final few feet are of prime importance for best performance. Of course everyone would love to make pure-copper receptacles, but its malleability – lack of stiffness – makes pure copper a poor choice. 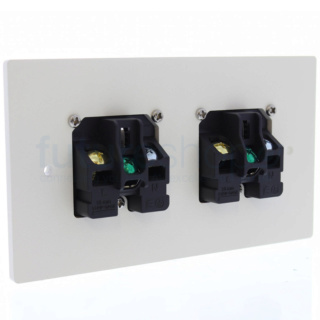 That’s why you’ll find phosphor bronze or brass in most receptacles. Furutech’s intense engineering scrutiny has resulted in an industry-first, a technique allowing us to use special Furutech rhodium-plated α (Alpha) pure copper conductors. 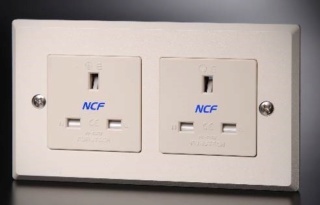 But what really sets the FP-1363-D NCF (R) wall socket apart is “NCF” – Furutech’s ultimate damping material - Nano Crystal² Formula eliminates static, “interconverts” thermal, mechanical and electrical energy and damps vibrations. The FP-1363-D NCF (R) can be summed up in a word; virtuoso!